Christmas is my favorite time of the year. I love how much the Christmas spirit brings out the best of people, however, it can also bring out the worst and the stress, which has happened to me. Recently, I have struggled with Christmas as have I allowed the expectations of others get the best of me. The Christmas season has become stressful to me. 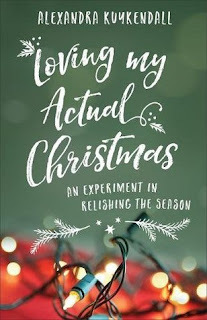 When I saw "Loving My Actual Christmas" I was very excited to get my hands on this book. I am self-aware to know that I need to de-stress things from my life and also decrease the expectations and not worry about what others think of me. I need to learn to love my Christmas and celebrate with my family. What is great about this book, is we read first hand the account of Alexandra's Christmas and how she learned to enjoy Christmas despite the chaos. I love how the chapters are focused on different themes such a joy, peace, hope, etc. 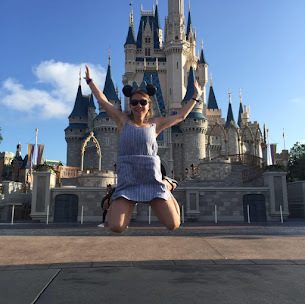 I found her story to be extremely helpful and allowed me to think about how I will apply it to my own Christmas. I love how she discussed the elements of faith in this book, which I won't go into because I want you to read the book. I give this book 5/5 stars. Thank you to publisher for providing a complimentary copy for review.